Slowing global demand, the bruising US-China trade war, and rising costs of production have dampened China’s growth outlook. GDP growth has sunk to three-decade lows, with signs of further deceleration in manufacturing activity. As the Chinese economy continues to mature, production costs are expected to rise and trade balances shift. 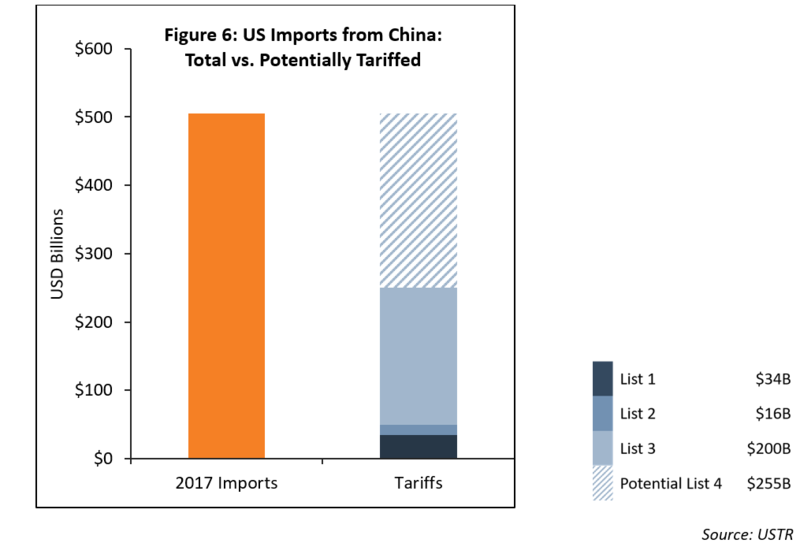 In 2018, the US imposed a series of tariffs on up to $250B of Chinese goods, impacting China’s export-oriented manufacturing sector and contributing to factories cutting production. In fact, the export sector in China dropped by 21% in February and exports to the US shrunk by 14%, largely due to trade issues. This downturn is also reflected by a 3% decline from 2011 to 2016 in Chinese manufacturing output (Figure 1). 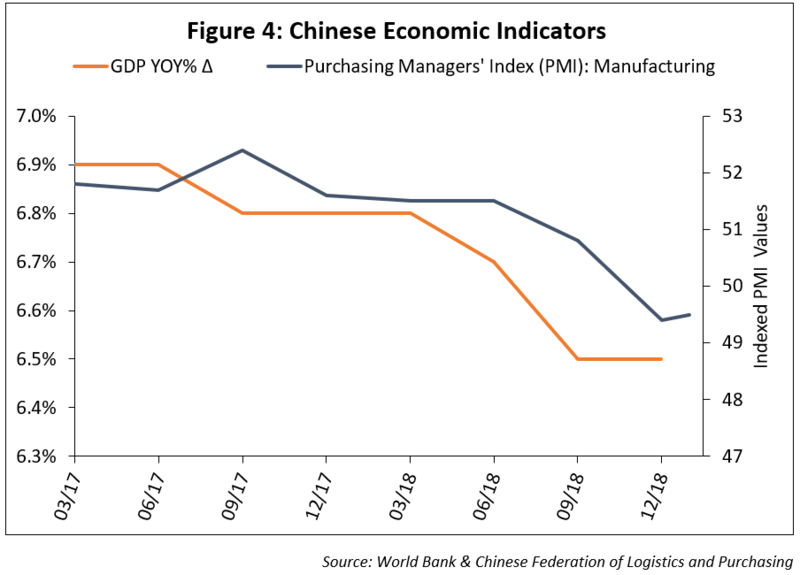 The manufacturing sector is slowly becoming a smaller percentage of the overall Chinese economy, and this general downward trend is projected to continue. 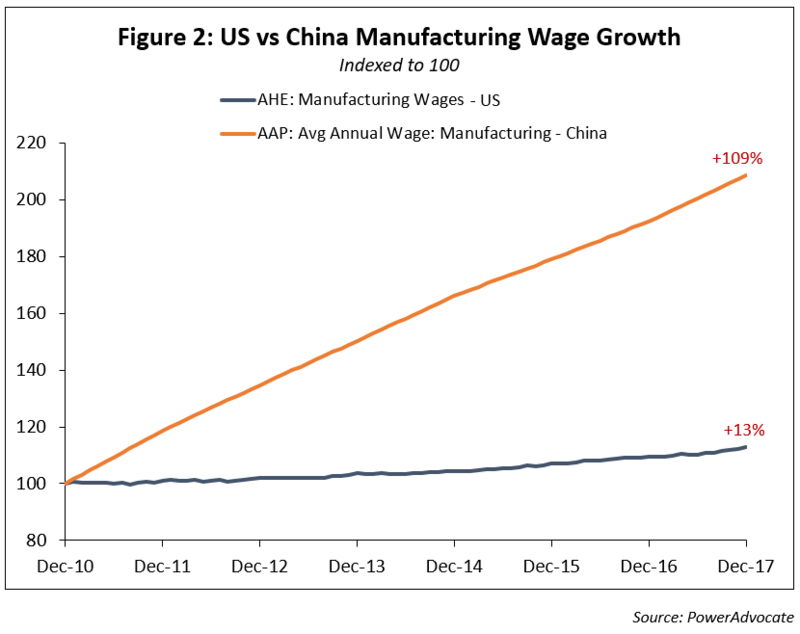 Current economic factors, both within China and globally, have certainly influenced the downward trend in Chinese manufacturing, however, it is important to note that this began in 2011. What other factors helped drive the downturn? 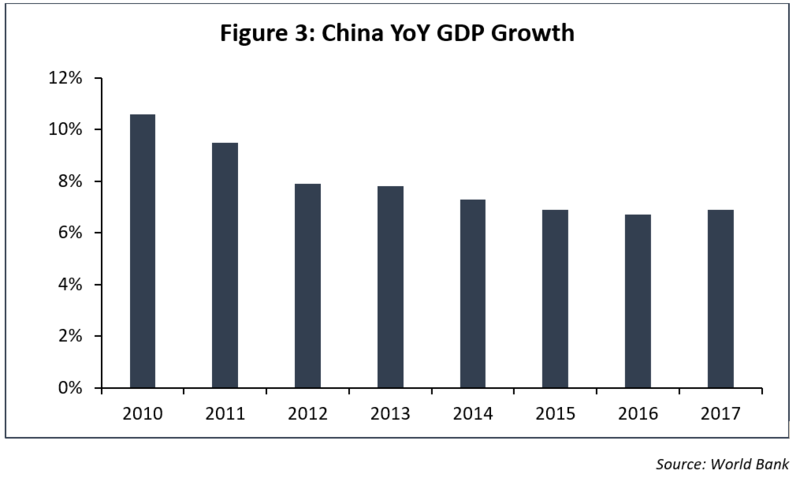 It is evident that the shift away from manufacturing, whether from natural economic pressures or government economic policy, has taken a toll on Chinese GDP growth. 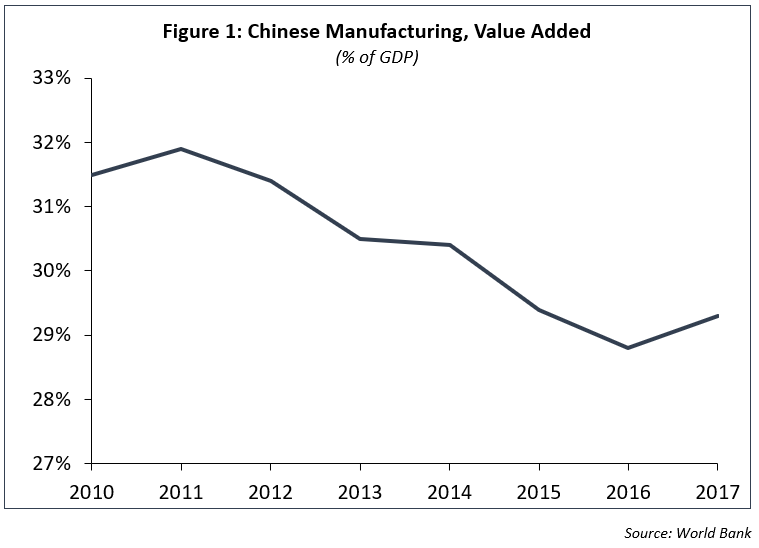 The Chinese economy is still dependent on the manufacturing sector, and as a result, YoY GDP growth (Figure 3) fell 6 years in a row and 3.5% overall between 2010 and 2017. Furthermore, protectionist tariffs have increased pricing pressure on manufacturing. This shift in sentiment is reflected by the purchasing managers’ index (Figure 4). What’s the Impact to Oil & Gas Supply Chains? President Trump and the Chinese state-run Xinhua News Agency have announced that recent rounds of trade talks yielded “substantial progress,” and therefore the March 2nd tariff escalations have been postponed. The measure was due to increase duties on $200 billion of Chinese goods covered in Section 301 List 3 from 10% to 25%. 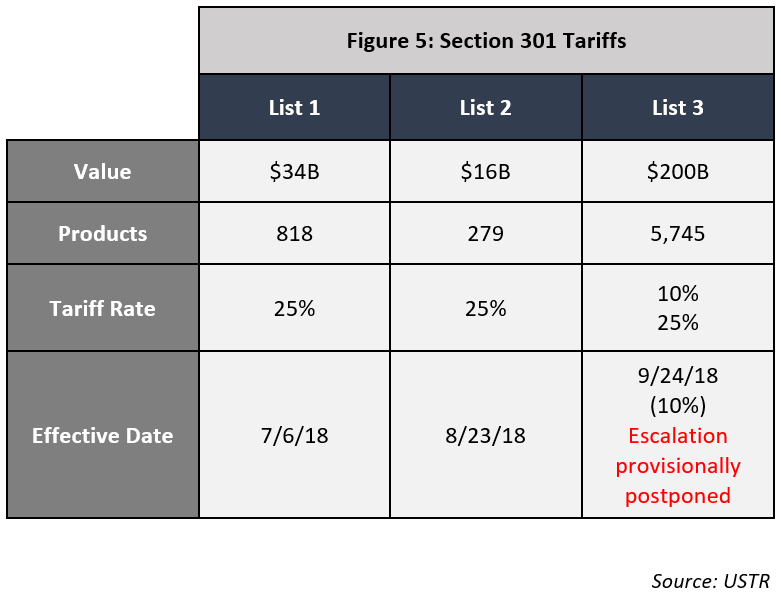 Despite this development, there is still another $255 billion worth of goods subject to a potential Section 301 List 4 tariff (Figure 6). Pending final negotiations, plans have been announced for a late-March conclusive summit at Mar-a-Lago between President Trump and President Xi. Oil & Gas firm’s exposure to these tariffs is dependent upon their supply base and sourcing strategy. Certain goods are heavily imported from China and thereby more likely to be subject to tariffs. 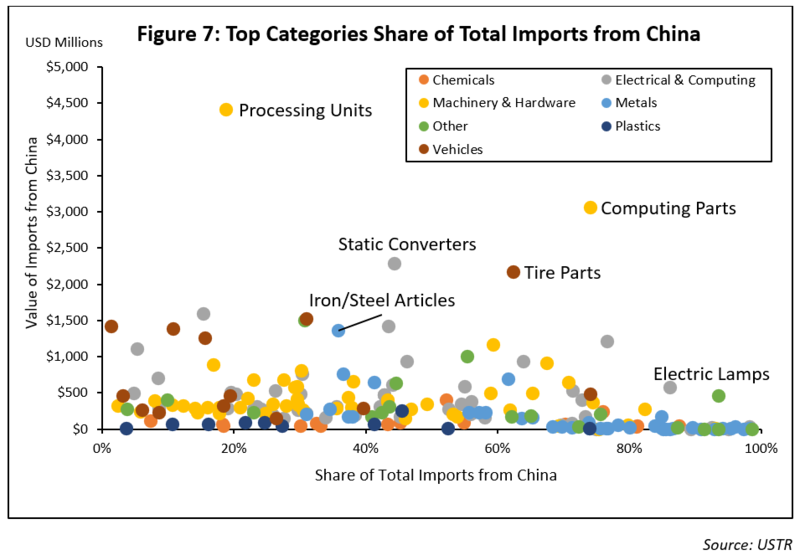 In particular, metal products (light blue dots, Figure 7) are high risk due to the reliance on imports from China, ranging between a 30-95% share of total imports. Fittings, for example, are on list 3 of the Section 301 tariffs, and therefore tariff duties on fittings imports from China will remain at 10% pending the trade negotiations in late March. As a result, suppliers are beginning to move their manufacturing and supply chains out of China, some even to the US. However, it is important to note that despite relocating to avoid Section 301 tariffs, some suppliers could still face Section 232 tariffs on raw steel and aluminum imports depending on their sourcing strategy. 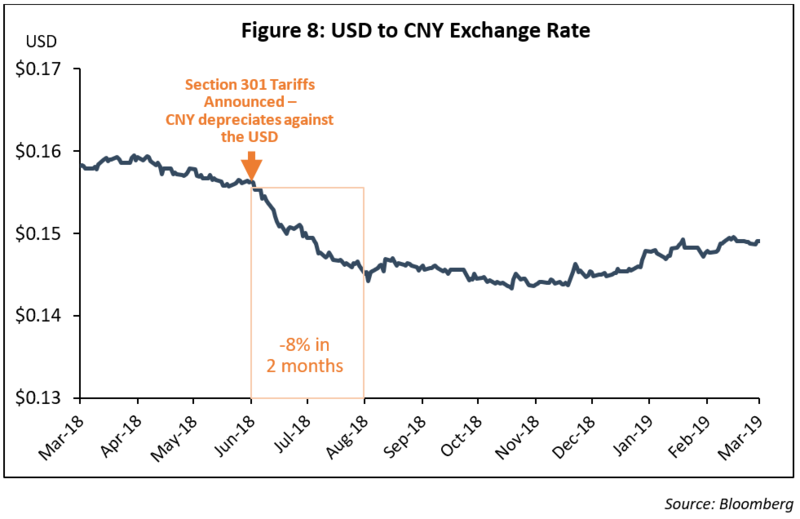 Fluctuations in foreign exchange rates, while typically stable, are an important factor to consider in global trade. How Can Oil & Gas Supply Chains Prepare? Is the supplier citing tariffs or wages as reasons for moving manufacturing locations? Where does the supplier source their raw materials? What currency does the supplier use to purchase goods from China? When did the supplier purchase any parts or raw materials from China? As the global economy evolves and subsequently impacts Oil & Gas supply chains, firms can prepare by staying abreast of changing markets and through a better understanding of market-based risks and opportunities. Interested in learning more about how global economic shifts could impact your costs, or about the data in this post?